CLoader error is encountered when accessing the HP ALM application via IE8 on Windows 7 for the first time, even if you are an administrator. 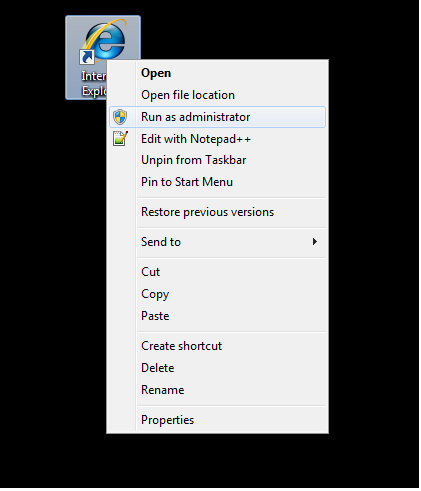 Open IE8 using "Run as administrator" option. This error isd probably due the fact, that you are running QC or HP ALM in Internet Explorers protected mode. Splash, you are right. 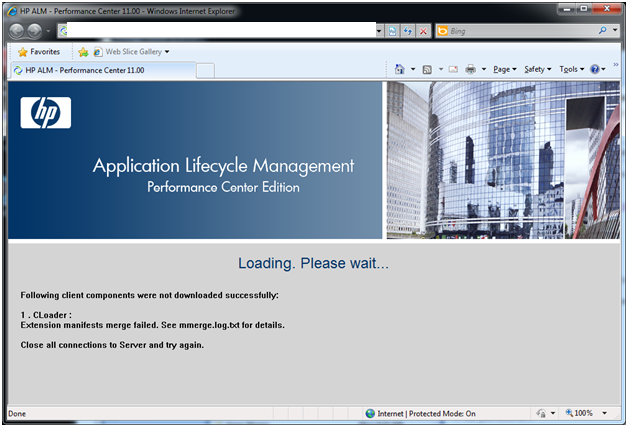 The HP ALM is running in Internet Explorers protected mode. However, this was just an approach to show how you can run HP ALM without disabling protection mode.